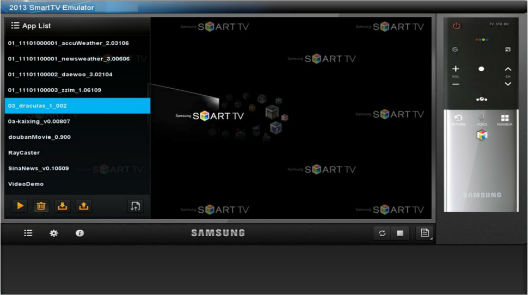 The Samsung SmartTV S Client is a tool that allows developers to run their application on a remotely-hosted Emulator, which simulates the behavior of a Samsung Smart TV device. 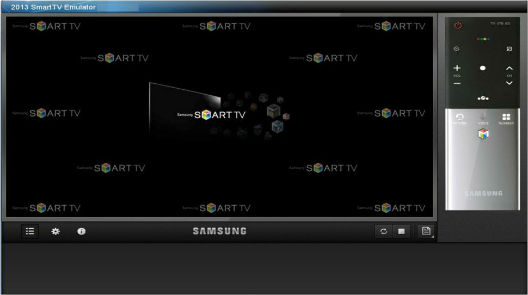 This document introduces how to use the Samsung SmartTV S Client. 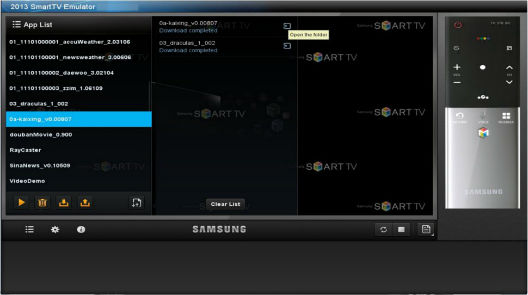 This document covers the overview and user interface (UI) of the S Client. 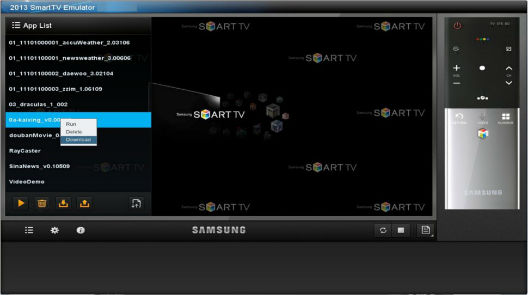 The intended audience of this guide is application developers who develop applications based on the Samsung Smart TV platform. Go to the website http://www.samsungdforum.com/Devtools/SdkDownload, and download “Local Cloud Development Environment” to get the S Client install packages: SClient_4.5.exe for Windows, SClient_4.5.jar for Linux, SClient_4.5.pkg for Mac. Double click SClient_4.5.exe to install S Client. Double click SClient in desktop to launch S Client. 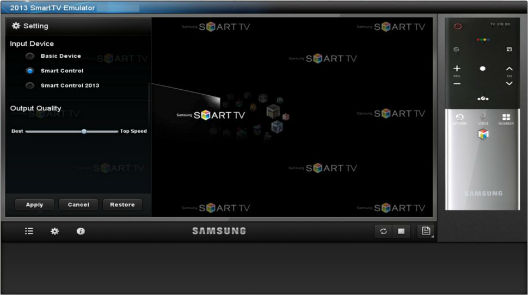 Click Samsung ‣ S Emulator ‣ S Client ‣ SClient in Start menu to launch S Client. Double click SClient.exe under installation directory of S Client to launch S Client. Open the terminal, run command “java -jar SClient_4.5.jar” to install S Client. Double click SClient under installation directory of S Client to launch S Client. Double click SClient_4.5.pkg to install SClient. Double click SClient from Applications to launch SClient. 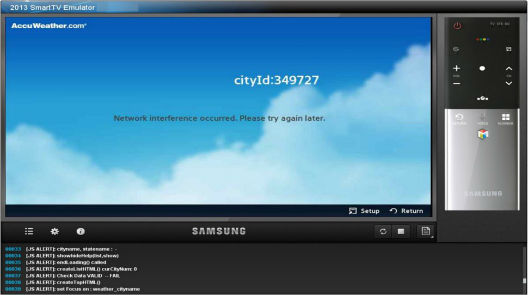 Click Login after entering a valid IP address, user name, and password. These values are configured in the S Server. 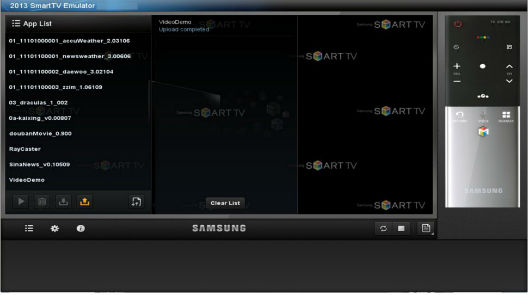 Please refer to the guide Samsung SmartTV S Server (2013VM) User Guide. 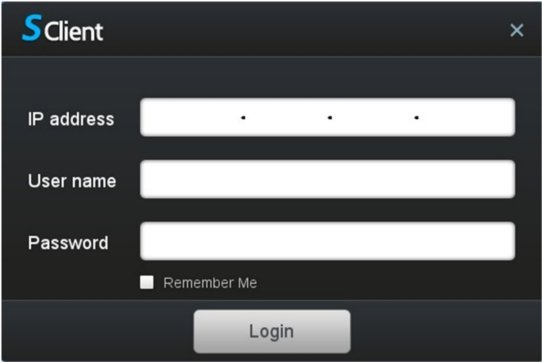 To remember IP and user name, select check box “Remember Me”. Click to upload application to S Server. Click Open to select the application you want to upload. Select the directory to save the app. After the app is downloaded from the server, you can click to open the app. 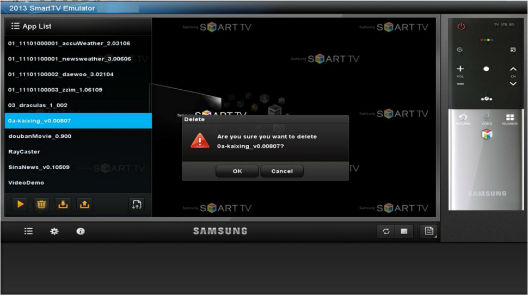 After logging into the S Server, click to delete the application from the S Server. Click OK to delete application. 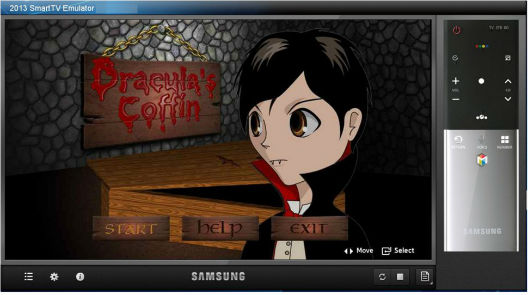 After logging into the S Server, select an app and click (or press “Enter” or “Run” from right-menu) to run an application. Click to refresh the currently running application. Click to stop the application. 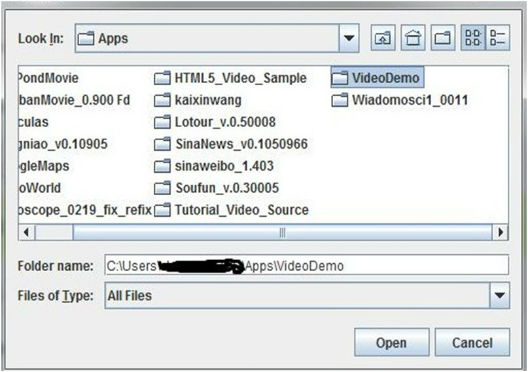 The currently running application’s log in the log panel can be used to debug the application. 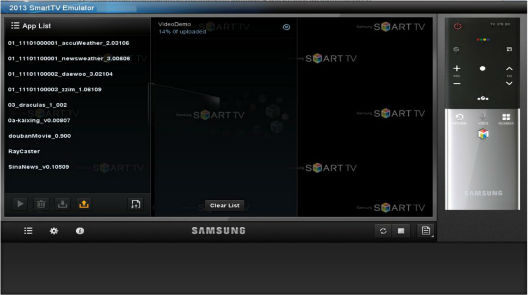 Click to change the input device or output quality. Input Device: The preferred remote control device. Output Quality: The Output Quality can be toggled from “Best” (highest image quality) to “Top Speed” (fastest performance). “Best” should be used for fast internet connections, while “Top Speed” is better to use for slow internet connections. Click to see S Client version and Open Source license.